Roadsides, railroads, fields; jack pine, oak, and aspen savannas. 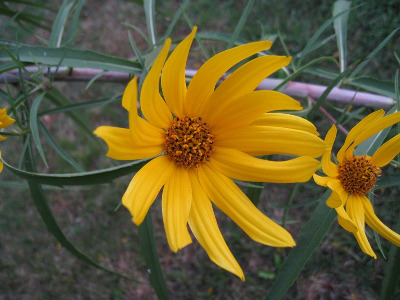 Like so many of our sunflowers, the native range is obscure, but this is likely adventive from farther west (or escaped from gardens, as it is a showy species). Our earliest collections are from along railroads and none were made before 1898 when collected in Muskegon and Washtenaw Cos. This is a fairly easily recognized species, especially if the typically folded (and arcuate) leaves are present. The upper part of the stem (or peduncles) usually has evident dense white pubescence, but such can also be seen in some plants of H. giganteus, which may also have nearly entire leaves (though not folded or arched). The habitat may help to separate these two; H. maximiliani is always in dry, open sites, and H. giganteus frequently in wetter sites. The rays in our specimens run 1.7–3.3 cm long; they are reported longer elsewhere. On richer soils the plants may approach 3 m in height, but they are usually less, often much less, than a third that tall. MICHIGAN FLORA ONLINE. A. A. Reznicek, E. G. Voss, & B. S. Walters. February 2011. University of Michigan. Web. 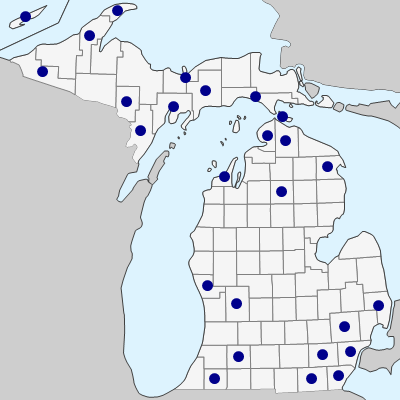 April 19, 2019. https://michiganflora.net/species.aspx?id=352.